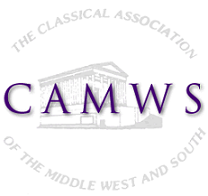 CAMWS does not run its own Placement Service. We cover such a large area, that to do so would duplicate the excellent services offered by the national organizations, the Society for Classical Studies and the American Classical League. The following links should guide you to the proper resources. The American Classical League Placement Service is the most comprehensive national resource. Occasionally Job announcements appear in the CAMWS Newsletter or Announcements pages. The Texas Latin Placement Service seeks to match applicants with Latin teaching positions in public and private schools all over Texas and in nearby states. To find out about requirements for licensure or certification in specific states, consult the National Council of State Supervisors for Languages (NCSSFL)’s webpage http://www.ncssfl.org/reports2/index.php?teacher_licensure. For specific questions, contact the State Supervisor for a specific state, which can be found here http://www.ncssfl.org/members/index.php?member_list. The Society for Classical Studies operates the Placement service at its Annual Meeting and by email.